The proof is in the numbers. To get 450 lumens of light, you need a 40-Watt (W) incandescent bulb, but an LED bulb of the same brightness requires just 6-9 Watts. A 150-W incandescent produces 2,600 lumens. You’d only need 25-28 Watts for an equivalent LED bulb. An LED bulb lasts up to 40 times longer than a traditional bulb. It is also recyclable, not to mention resistant to harsh conditions such as extreme temperatures and frequent use. The environment is better off due to a longer lifespan and other factors, including reduced energy usage and the absence of toxic chemicals present in traditional bulbs. Quite versatile, LED lights can be used in any kind of residential or commercial application. 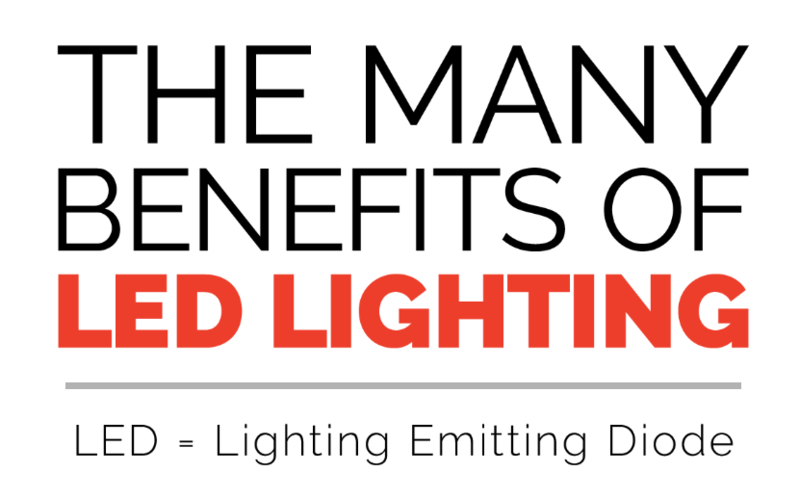 Read on for more specific and surprising facts on the benefits of LED lighting.